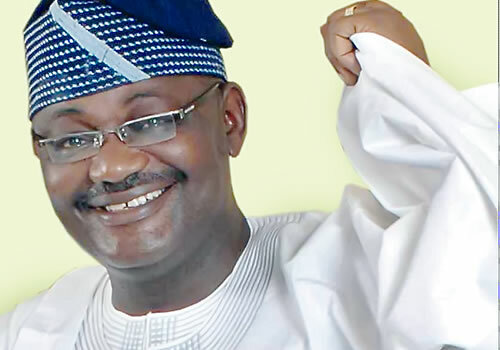 African Democratic Congress (ADC) governorship candidate for Ogun State, Gboyega Nasir Isiaka, has urged electorate in the state to resist the temptation of selling their votes to â€œlooters and insincere leaders who are hell bent on further plundering the fortunes of the stateâ€. Isiaka stated this on Wednesday at Sawonjo, Yewa North Local Government Area, during the flag off of his ward-to-ward tour to the 26 state constituencies of the state. â€œOur people must be properly orientated this time around. They must not sell their tomorrow. We must all rise and do something. Anyone who cannot resist immediate gratification for more enduring dividends of democracy, is not only destroying today but mortgaging the futureâ€, he said. He attributed infrastructural deficit in Ogun West to sectionalism and disregard for the living condition of the Yewa/Awori people and charged the people to vote massively for one of their own come 2019. He observed that in previous elections, opposition parties had received fairly significant votes from the area but this must change in 2019, noting the trend must change in order to reverse the backwardness of the area. â€œWork has started and we decided to start our campaign from Ogun West which is home to me. This election is not about polling unit voting. It is about having landslide victory. Landslide victory because even other parties that are not of Ogun West have been sharing votes with us here where we call home. This must change if truly we are tired of this backwardness and neglect. â€œMy message is not just for the people of Yewa-Awori but the generality of Ogun State citizens. Our people must be properly orientated this time around. They must not sell their tomorrow. We must all rise and do something. Anyone who cannot resist immediate gratification for more enduring dividends of democracy, is not only destroying today but mortgaging the future,â€ Isiaka added. dividends of democracy to the area if elected into office, adding his administration will give Ogun West a major face-lift.